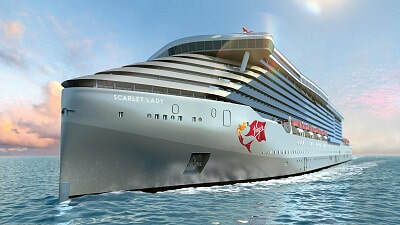 Virgin Voyages announced today that the company’s first ship, Scarlet Lady, will feature Cuba as one of her voyage destinations during her inaugural season in 2020. Virgin Voyages’ decision to sail to Cuba was influenced by customer and travel partner research it conducted in North America and the United Kingdom. Both groups consistently rank the Caribbean island as one of the most desired and interesting destinations to visit on a voyage. The Adult By Design (18+) brand will offer the newest and most beautifully designed ship sailing to Havana ensuring that their sailors get there in style. All sailings to Cuba from Miami feature an overnight stay, meaning sailors have time to really explore and experience the capital city’s vibrant nightlife and cultural heritage. While in port, sailors can visit Old Havana, a UNESCO World Heritage Site; dance the night away at a salsa club, visit Cuba’s warm and friendly residents through people-to-people exchanges, or simply wander the streets alongside pastel-washed colonial architecture. OFAC-compliant shore experiences are in development and details will be made available later in 2019. The Virgin Voyages destination announcement was made at the Havana International Fair, FIHAV, with remarks from Virgin Voyages executives, government representatives and local tourism leadership. “We have a long-standing relationship with Sir Richard Branson and the Virgin Group and are pleased to announce this new partnership with Virgin Voyages,” said Manuel Marrero Cruz, Minister of Tourism for Cuba. “The Cuban people look forward to welcoming Virgin Voyages’ first ship, its crew and passengers to our shores in 2020”. Specific sailing dates relating to Virgin Voyages’ visits to Cuba will be released when the company opens up bookings for sale next year.